Baby proofing. There's no way around it. Nor should there be... but until I found the Rhoost collection of child proofing products, I had been lamenting the lack of stylish options on the market -- options that don't require an engineering degree for installation. Our walls, TV stand, cupboards, and nearly every surface of our home bear the marks of the safety products we have installed to keep Miss O and Mr. A from harm's way. 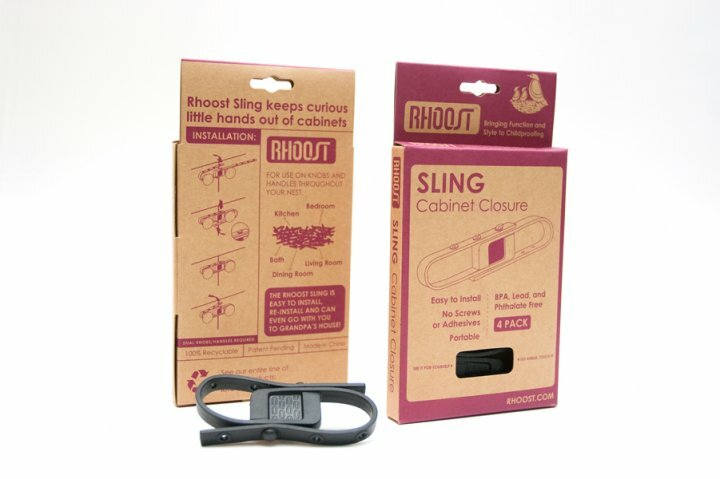 But for those of you just embarking on the process, look no further than the Rhoost collection, which features an array of solutions that may be installed without using the invasive procedures that mar furniture and the like -- and the products are easily portable for trips to grandparents, friend's homes, etc! Even better, they are 100% recyclable (the products and the packaging), and totally non-toxic: free of BPA, lead, PVC and phthalates. My favorite product in the comprehensive line, which includes blind cord winders, cabinet locks, safety outlet covers, and table corner guards, is the finger guard. We have two front doors: one screened and one solid. We like to leave the solid door open and let fresh air come in through the screened door. But, this is hardly possible with a crazily curious and mischievous 17 month old boy in the room. I even filmed him over the summer as he outsmarted every single keep-door-open-thingamajig that we bought from Bed, Bath & Beyond, Amazon, you name it. No matter how many stars the products received for effectiveness, Mr.A found a way to instantly dismantle their integrity and bring the door to a crashing close. But alas, enter Rhoost's finger guards (that boast screw-free installation), and Mr. A has met his match. 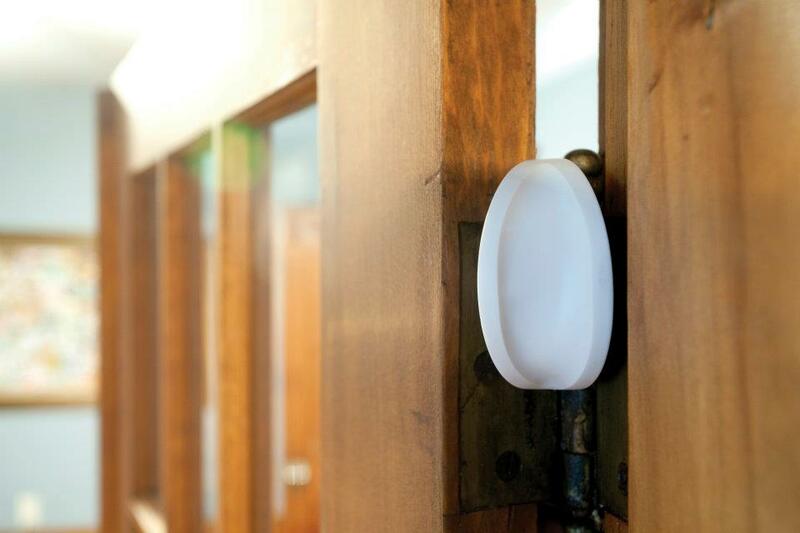 Now we can keep the door open without worrying about his defiant and dallying digits. Do yourself, your kids, your home, and the planet a favor, and look to Rhoost for your child proofing needs. I wish I had these products home to roost years ago!